Access to primary care providers is important for maintaining the health of a community. Primary care access is an excellent indicator of the status of a community’s overall health infrastructure, ensuring medical needs and services are provided to a community in a reasonable and accessible fashion. 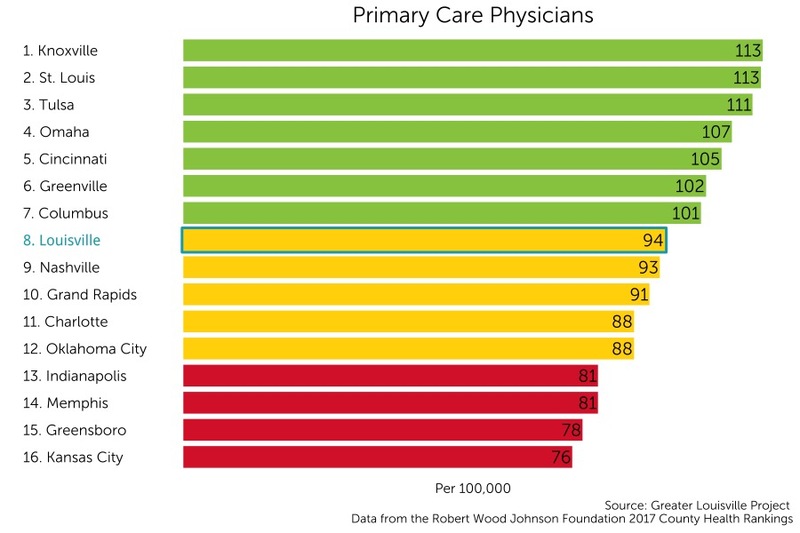 Louisville currently ranks 9th among its peer cities in number of primary care providers with 94 providers per 100,000 people.